Is Drake the Bill Clinton of Rap? Bill Clinton was famous for lamenting the mistiming of his presidency. If only he'd been given a war or some great cause, he thought, he could have risen to the occasion and taken his place among the greats. But through no fault of his own, fate had other plans: instead of steering his country out of slavery or depression, or crushing fascism, or outmaneuvering the Soviet Union, he would have to content himself with presiding over a period of the American century so relatively uneventful that Francis Fukuyama could plausibly argue that we'd reached the end of history. Listening to 23-year-old Drake's highly anticipated debut album, Thank Me Later, I can't help wondering whether this talented young man isn't the Slick Willie of rap. 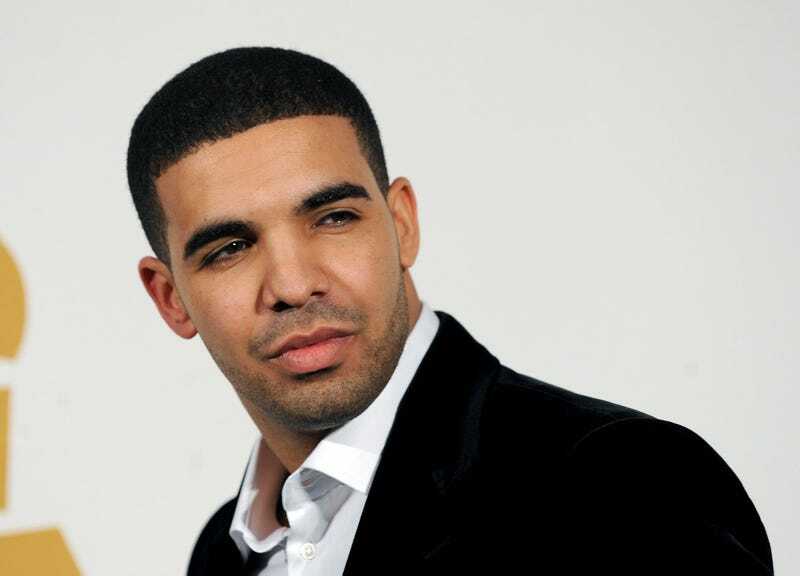 In "The Resistance," one of only two tracks on TML that even dare to showcase the kind of originality and inventiveness that made this former child actor an overnight hip-hop sensation (and his mix tape So Far Gone an instant classic), Drake raps matter-of-factly, "The game needed life, I put my heart in it." Indeed, that's not so much a boast as a statement of fact. The rap game has been so inert and listless; so populated by Waka Flocka Flames, Gucci Manes, Games and Lil Waynes; so formulaic, bottom-line-driven; and so contrived for so many years that any mainstream artist with a modicum of intelligence and complexity is by definition a breath of fresh air. Drake is nothing if not intelligent and complex, which is why TML, while it doesn't offend and often sounds pretty good, ultimately disappoints. In a recent profile in Heeb magazine — Drake is Jewish on his mother's side — Drake himself identifies astutely, if unwittingly, one of the main weaknesses of the album: " 'The internet has fucked the game up so bad, that if I don't [sell a lot of records], I'm curious to sit back and watch whoever does … I honestly can say, the steps we've taken, the way that how passionate we are about this … ' He trails off. 'If Thank Me Later doesn't do what I think it's gonna do, I'm very curious to see the next artist, birthed in this internet generation, that will go on to sell millions of records.' "
Precisely what makes SFG superior to TML is that Drake and the very savvy people around him did not take those steps (read: precautions) to sell millions of records. What they did was create a passionate and personal body of work, which they then gave away for free, and in the process they captivated an entire culture. The smash single "Best I Ever Had" notwithstanding, SFG sounded strange in a good way, in the way Proust observed that the true artist gradually creates the taste by which he will be judged. It is a shame that so much money is now at stake and that Drake feels compelled so often on TML to give in to the conventions of this bland and uneventful era, instead of forging ahead in his own strange style — as Kanye West did expertly on his debut, The College Dropout. At times, one gets the feeling that the Drake team was working from a multi-platinum checklist in the studio: Obligatory Young Jeezy guest verse? Check. Mandatory Alicia Keys duet? Check. Telegraphed cheesy love song featuring The Dream and aimed at the junior high school set? Check. Perhaps mainstream hip-hop will come roaring back to life when Kanye West and Eminem release albums later this month, and Drake, situated at the forefront of this renaissance, will get the chance to take his place among the giants. But at the moment, that looks unlikely. For now he looks like the Bill Clinton of rap. Thomas Chatterton Williams is the author of Losing My Cool: How a Father's Love and 15,000 Books Beat Hip-Hop Culture. Follow him on Twitter.